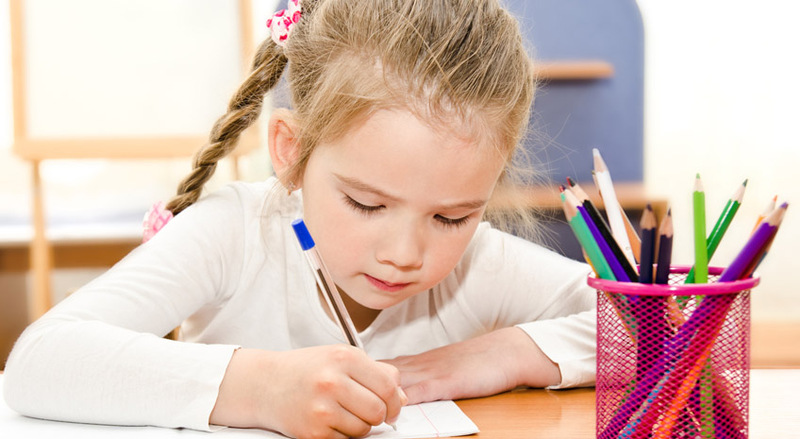 Common Core Writing incorporates a variety of techniques to help children learn how to write better. One of these methods, called sentence modeling, allows students to visualize how the individual words connect to form a complete thought. The sentence modeling activities included in Common Core Writing help kids write better in many different ways. Using proper grammar is important when writing. However, all too frequently, kids view grammar as a boring set of rules they are forced to learn. Sentence modeling brings grammar to life. Now, grammar has suddenly become relevant and interesting to kids. It also means they don’t have to study dull grammar rules. Instead, they can learn them through real practice and observation of actual sentences. This helps kids internalize the grammar rules, making it easier and more natural for them to use proper grammar whenever they are writing. Imagine that you were given a roll of cookie dough without any baking directions. Most people would be able to figure out how to bake the cookies, despite the lack of instructions. Now imagine that you were given a pantry of baking ingredients and asked to prepare a batch of cookies from scratch without a recipe. Unless you have a lot of prior baking experience, it is unlikely that you will be able to produce an edible cookie. Sentence modeling is the “recipe” for creating a variety of different sentence structures. When kids study and analyze complex sentences in Common Core Writing, it gives them the knowledge they need to create complex sentences with a variety of different structures. Without this experience of working with different types of sentences, kids tend to do one of two things. Either they will stick to simple sentence constructions or they will create jumbled sentences that are hard for others to understand when trying to express more complex ideas. WordParts provides kids with a fun, engaging way to practice sentence modeling. Over time, these exercises will help them make noticeable progress in their own writing abilities. Let us know your experience with sentence modeling. Share your story with us today!